An Iron Maiden, German Eiserne Jungfrau, otherwise known as the Virgin of Nuremberg – one of the most well-known torture devices and one of the more bloodthirsty torture devices ever invented. A cabinet built with wood or iron, and usually has a small closable opening so that the torturer can interrogate their victim and torture or kill a person. The iron maiden tortures the body with sharp objects such as knives, spikes or nails. These spikes impaled the victim in the eyes, the chest and the back, different parts of the body, but usually missed vital organs, so as to leave the victim bleeding profusely and in great pain, but still alive for a period of time. The person inside was forced to remain standing in one position, ultimately causing their demise. The victim is weakened slowly and dies of a combination of shock and blood loss, if not asphyxiation. Most victims ended up dying as a result of the torture as a liberal amount of blood often gushed out of their bodies after some time. However, this technique was not used primarily for executions. 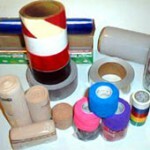 It is entirely possible that a subject would call out after having spent some time within the iron maiden for relief. This torture device combines physical pain and psychological trauma – all alone in a small space with sharp spikes threatening to kill you from every side. 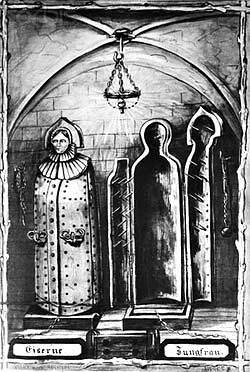 A very similar torture device was constructed by Countess Elizabeth Bathory in the 16th century, which she allegedly dubbed, the iron virgin. 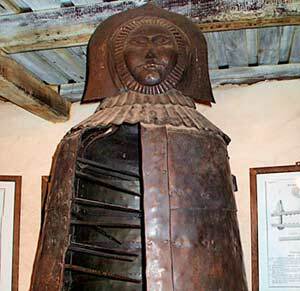 The iron maiden is often associated with the Middle Ages, but in fact was not invented until the late 18th century. No account of the iron maiden can be found earlier than 1793. The most famous, and probably the first, device was The iron maiden of Nuremberg. The idea of mechanized torture was born in Germany and its seams that the Nuremberg Maiden was the first. Historians have ascertained that Johann Philipp Siebenkees created the history of it as a hoax in 1793. According to Siebenkees’ colportage, it was first used on August 14, 1515, to execute a coin forger. 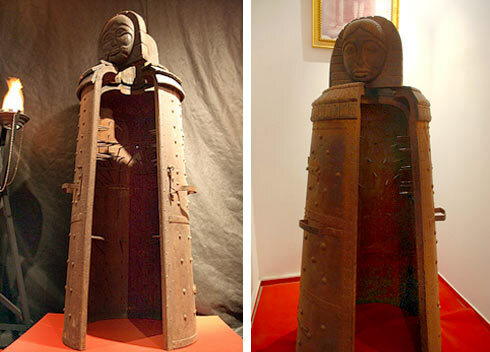 The Nuremberg iron maiden was actually built in the late 18th century as a probable misinterpretation of a medieval “Schandmantel” (“cloak of shame”), which was made of wood and tin but without spikes. Accounts of the iron maiden cannot be found from any period older than 1793, although most other medieval torture devices were extensively catalogued. The Nuremberg iron maiden got its name because of the external similarities with the Bavarian woman, but also because first prototype was created and used in a secret dungeon at Nuremberg. The Nuremberg maiden was anthropomorphic and probably styled after Mary, the mother of Jesus, with a carved likeness of her on the face. It had a ladies face carved on its front door. The iron maiden could be a detailed hollow sculpture of a woman but as well a plain box lined with spikes. It stands 7 feet tall (2.1 m) and 3 feet (0.91 m) wide. It can accommodate a large man. It had double doors. The device would be opened both from the front and from the back side without the victim being able to get out. The doors of the maiden could be opened and closed one at a time, without giving the victim opportunity to escape. Supposedly, this was helpful when checking on the victim. The doors of the maiden were shut slowly, so that the very sharp points penetrated a mans arms, and his legs in several places, along with his belly and chest, bladder, eyes, shoulders, and his buttocks, but not enough to kill him. The container was so thick that no shriek could be heard from outside unless the doors were opened. When the “virgin” doors were shut back, the spikes penetrated the same parts of the body and into the same wounds as before, inflicting a long and cruel agony. Mobility was nearly impossible, and if the victim was weakened by the ordeal, the piercing objects would remain in place and tear into the body even further, causing even more intense pain. The condemned person was kept in an extremely confined space to maximize his level of suffering by claustrophobia. When completely closed, the screams from the victim could not be heard outside, nor could the victim see light or hear anything. Inside the iron maiden was fitted with dozens (thirteen in total) of sharp spikes, including one fitted perfectly to each eye. Allegedly, the spi-kes were sometimes heated red hot as well to increase pain, or possibly cauterize the puncture wounds as to prolong suffering. 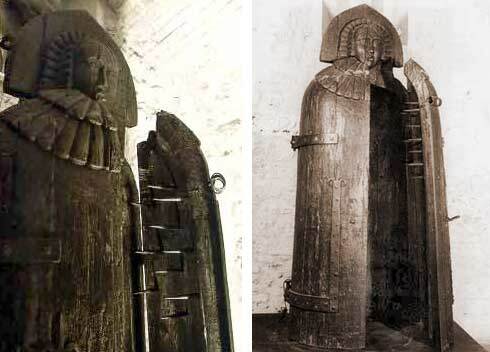 Supposedly, they were designed so that when the doors were shut, the spikes skewered the subject, but missed vital organs, permitting him to remain alive and upright. Historical experts have theorized that the spikes on the inside of the doors may have been moveable in order to accommodate each victim. They were thought to have been able to be repositioned and/or relocated depending on the individual requirements of the person’s body and their crime. The overall result would be more or less lethal and mutilating depending upon where the spikes were located. 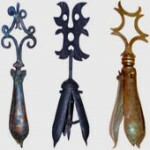 The head of the maiden might have a separate hinged door, with a wicked iron spike to pierce the victim’s face. It would have a small opening, which was closeable, so the interrogator would be able to open and close it at their will. In some designs, the maiden wrapped her arms around the victim. Torturers prolonged the agony by opening and closing the hinged doors, slowly allowing the spikes to pierce the flesh of the prisoner over and over again. Some designs featured a trapdoor, to drop the expired victim onto a rack of knives. Others had a tube in the bottom that made the victim see his own blood as it poured out of his body. The few people that did make it to this device, lasted more than 2 days before death finally struck them. Purportedly, the condemned prisoner had to pass through seven rooms with seven doors before his scheduled execution. At the end of a long corridor he found himself looking into the face of an iron wardrobe that vaguely resembled a female form. Although on the outside the maiden appeared harmless and non-threatening, the doors were then opened to reveal spikes of iron on the inside that would torture the victim slowly rather than kill. The point of this deadly object was to impale the victim and inflict extreme pain and punishment – and also, like most instruments of torture, to intimidate the prisoner before actual use, so that he confessed. The number of Iron Maidens ever built, let alone used in judicial proceedings or executions, is much in doubt. Replicas have been made, even if never used for the macabre purpose. The iron maiden at Nuremberg Castle was destroyed in the air raids of 1944 near Nuremberg, Germany. An iron maiden was found in Iraq near the building housing the Iraqi Football Association in which Uday Hussein had an office. In 2003, Time magazine reported that they had discovered an iron maiden, showing signs of use, in the administrative compound of the Iraqi national Olympic committee in central Baghdad, which they linked to reports of torture carried out upon Iraqi athletes by the committee’s head, Uday Hussein. 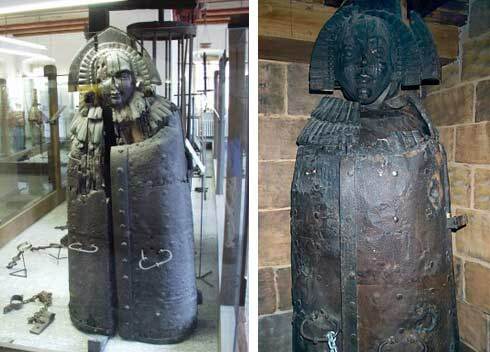 In 2006, investigators found a skeleton locked inside an iron maiden in Nuremberg. They found that the spikes were indeed placed in a fashion that they would not be fatal, but could drag on the death. Several nineteenth century iron maidens are on display in museums around the world, but it is unlikely that they were ever employed. The iron maiden probably was not used until the twentieth century.